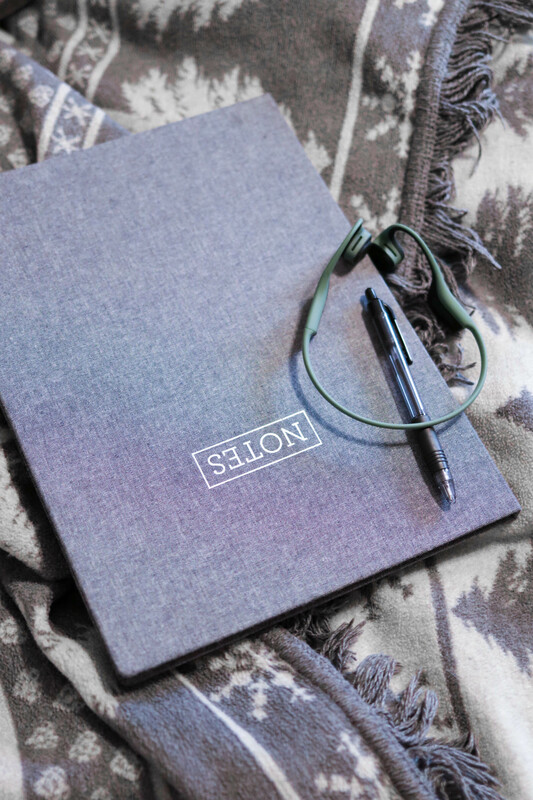 Hitting reset on your resolutions may just be a GOOD thing!? Sometimes I think (especially during this time of the year) we’re so focused on doing MORE that maybe our goal should be aiming to do a little LESS in order to recover MORE? 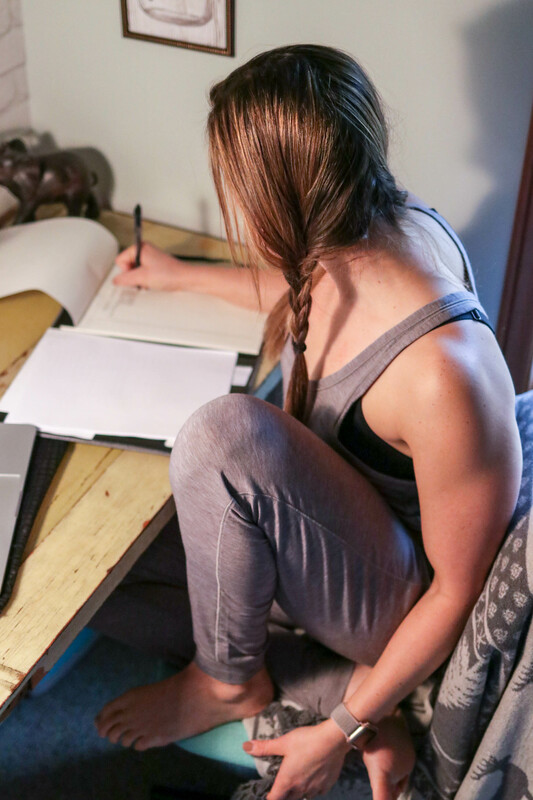 Trust me, I get it, you want to be at every group exercise class 7X a week…but let’s not forget that our bodies need to RECOVER just as hard as we work them. Being a Trainer, I see it all of the time. Someone aims for an unrealistic goal to go to the gym 7x a week and only eat kale for dinner. Not only is this very unbalanced (because who really wants to eat just kale for dinner? We need protein, carbs, & fats thrown in there), but we are forgetting that our body needs to find a happy medium. If we continue to GO without taking the time to RECOVER we can feel run down, tired, fatigued, sick, & unmotivated. My goal for the New Year may go against what people think is a “good” goal…my goal is to SLOW DOWN. My goal is to always get 2+ rest days (if not more) and let that be a non-negotiable. 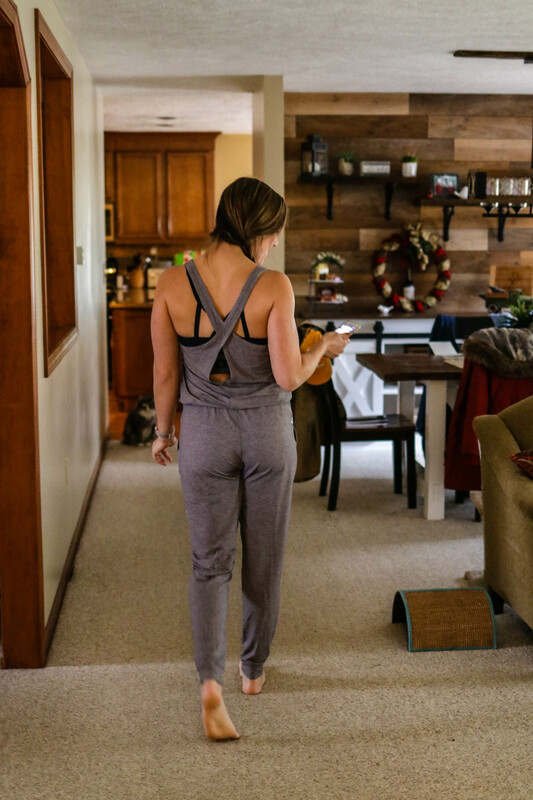 Our hormones, mind, muscles, & bodies will thank us if we just hit that RESET button & focus on taking care of ourselves so we can CRUSH those workouts from a well-rested state. I mean, let’s just take cats as an example, right? They go hard, but they sleep harder. Am I right? 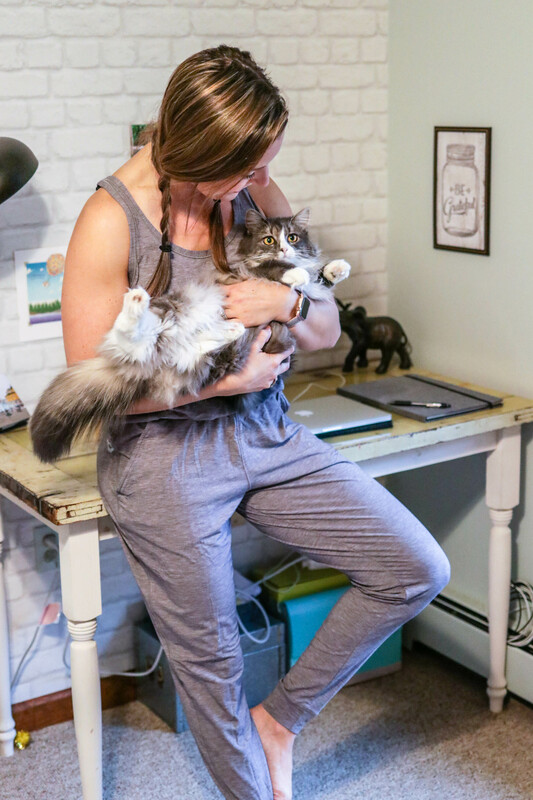 Plus who doesn’t love an adorable side-kick for a photo-shoot. 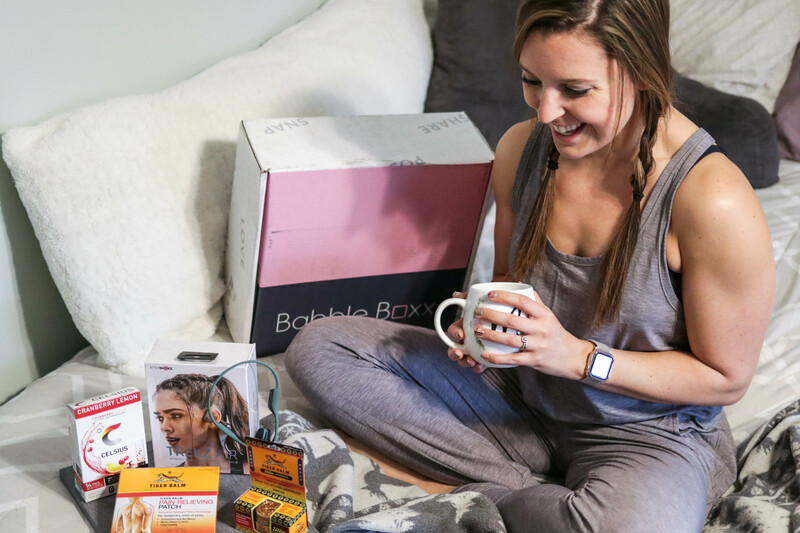 My friends at BabbleBoxx are making it super simple to hit that reset button by sharing some of their favorite go-to items that you may want to check out to reset & recharge for your next workout. RECOVER FASTER & SLEEP BETTER? I’m in! We all know how important sleep is, but did you know that not getting enough sleep can impact your health in so many ways? It can stall fat loss, increase appetite, & have you feeling so run-down that your body will be craving rest. 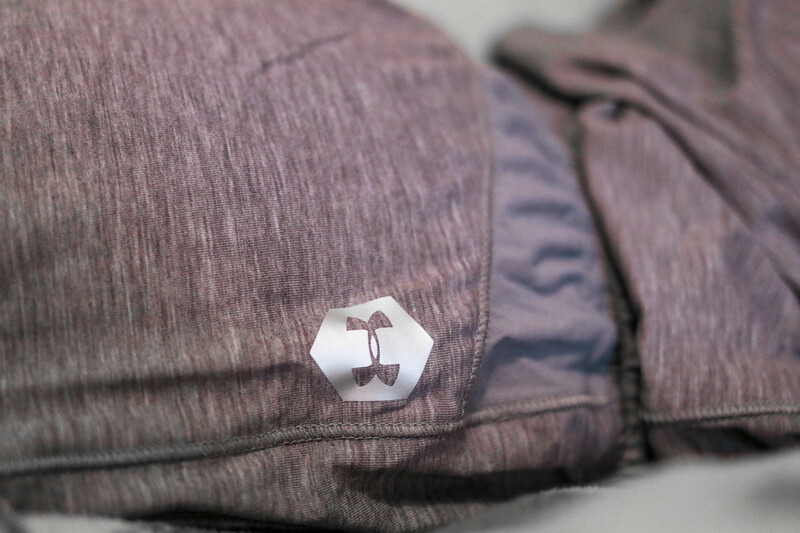 What if I told you that Under Armour invented an [Athlete Recovery Jumpsuit] with soft knit fabric that is lightweight, comfortable, breathable, AND returns infrared energy to your body? Say whaaaa? This fabric is powered by Celliant which has been determined by the FDA to boost localized blood flow & increase the amount of oxygen reaching your muscles to restore your muscles faster. Pair it with this [UA Seamless Longline Bra] for light activity and all day comfort and you’ve for your SLEEP GAME on POINT, y’all! 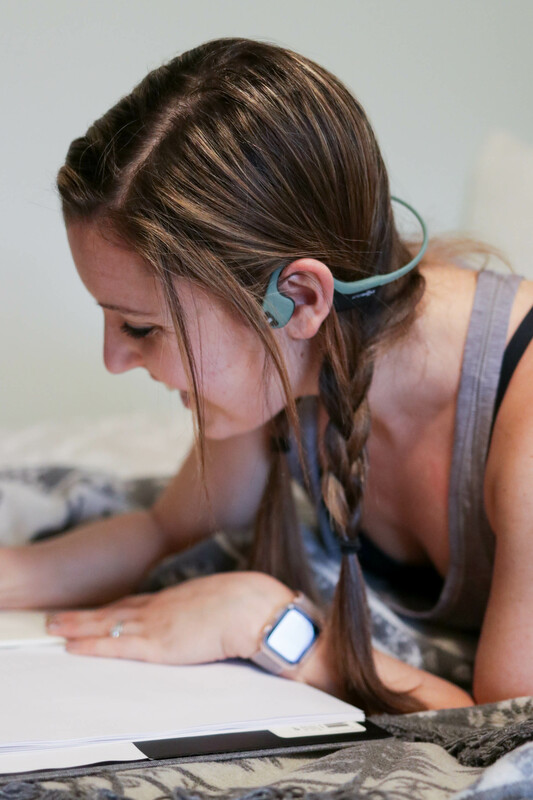 You all should know by now that I love my [AfterShokz Trekz Air] open-ear bluetooth headphones. I’ve talked about them multiple times before because they are THAT legit. They cut the bulk and used titanium everywhere possible to ensure they not only fit more securely but sound better too. Do you have a goal to go out and run more? Stay safe and be aware of your surroundings while out on the road or trails with AfterShokz Trekz Air open-ear design. 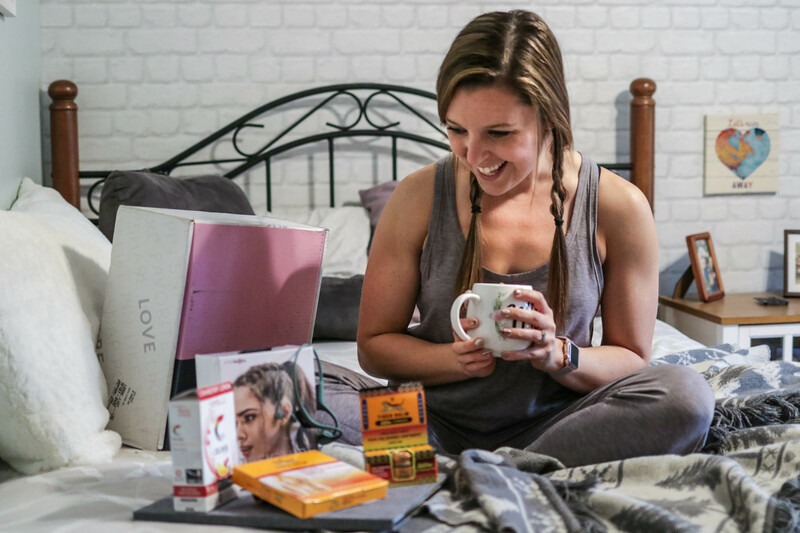 *Get $50 off our “Endurance Bundle” for AfterShokz Trekz Air and AfterShokz Trekz Titanium with code “BABBLEBOXX”. 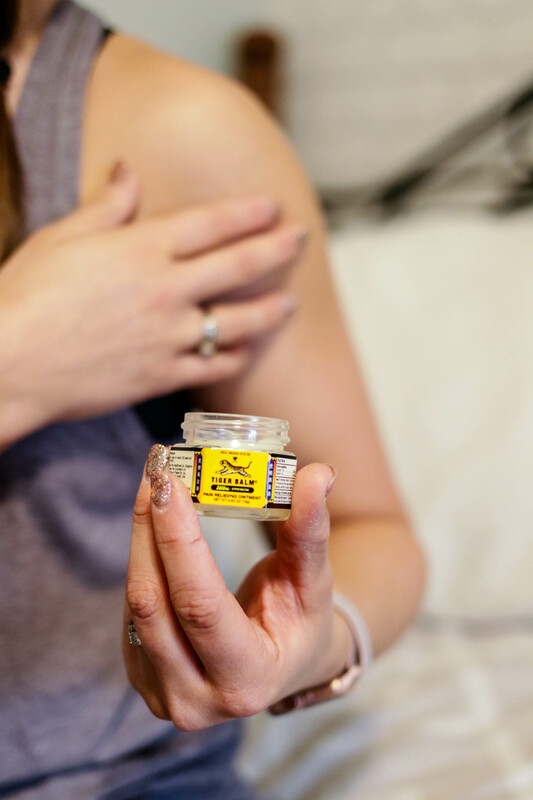 I am a huge fan of finding herbal ointments that absorb into those tight & stiff muscles and my friends at Tiger Balm went and put a [patch] on it! 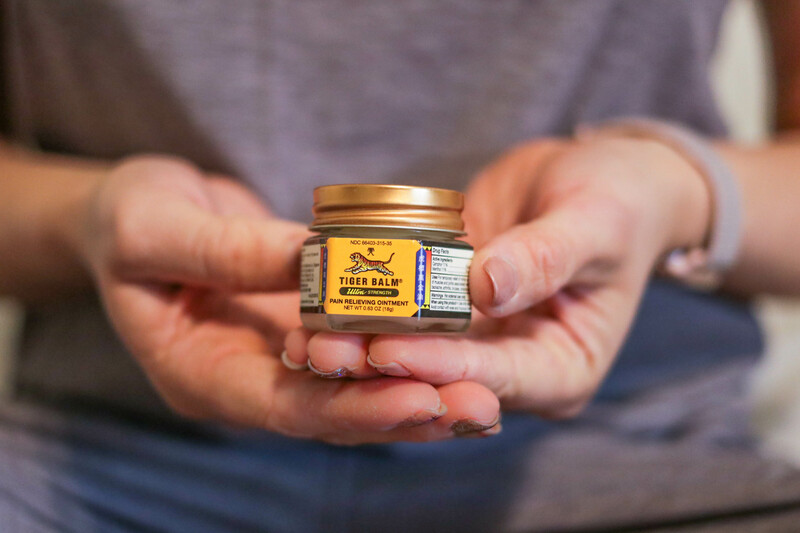 Tiger Balm uses hydrogel technology that is easy-to-apply and painless to remove that contours to the area of your body you need pain relief most. The [ointment] is an easy solution to keep in your gym bag for post-workout tightness. It warms & then penetrates for a deep muscle relief. 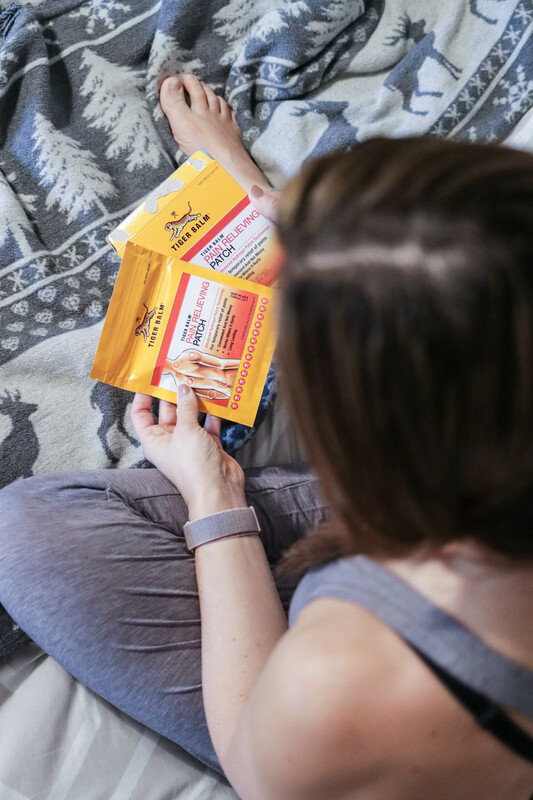 Get your Tiger Balm Ultra Ointment or Patch at CVS, Rite Aid, Target, Walgreens, Walmart, and [more]! I can’t tell you how many people that I train or talk to on a daily basis that say how much more water they drink whenever it is flavored. I, personally, carry around a plastic zip bag with tons of different flavor packs for on-the-go convenience. 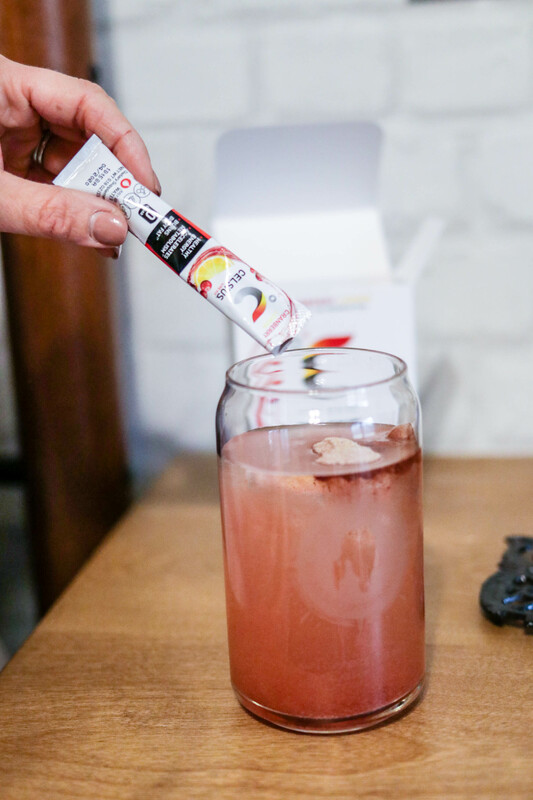 CELSIUS is making it easy to get flavor in your water along with a hit of energy in their on-the-go powder sticks available in Orange, Berry, Coconut and Cranberry Lemon. You can find these sticks easily on Amazon…my favorite place to shop…and other known retailers. Where is one area of your Resolution that you can Reset? More meditation, more yoga, more stretching, and/or more sleep? Don’t forget that hitting the reset button will help find that balance along your journey! This post is sponsored by my friends at Babbleboxx.com but as always, all opinions are my own. Love your kitty photo bomb. A great blog to share!! positive article. By the way, could you tell me your thoughts on this fitness program I’m considering? It says you can lose weight really fast by drinking this herbal tea that speeds up your metabolism.